Rope climbing area, Britzer Park. Britzer Park in Berlin is a 90 acre park in the south of the city built on a former allotment garden or Schreber Garten. 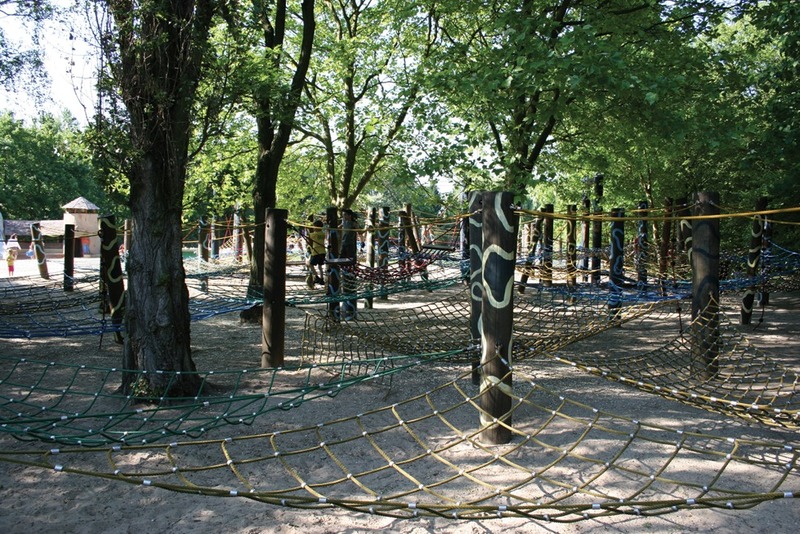 It has many different landscaped areas with diverse and interesting playscapes.